Are you looking to boost your website's or blogs or YouTube videos online presence? I am here to help you. 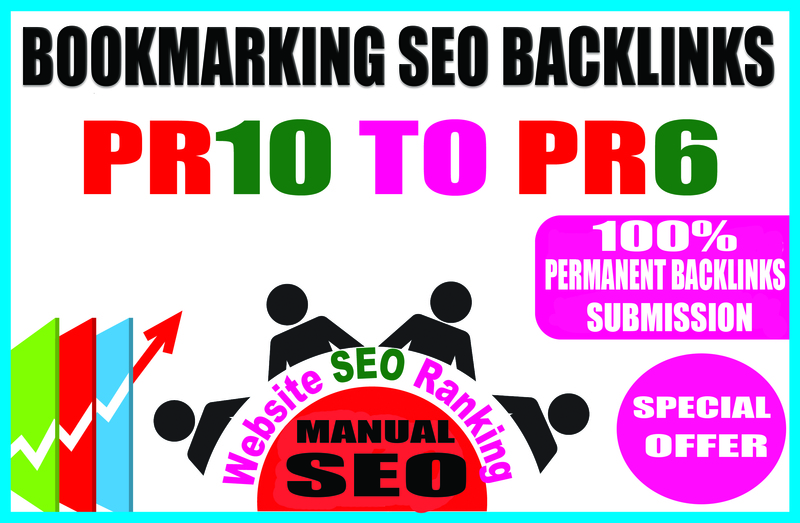 High Authority Bookmarking Backlinks will help your websites to get index in all search engines quickly and properly. It also increases ranking, Social Visibility, Domain Authority, Page Authority and search engines visibility. I don't deal in quantity which usually just amounts to rubbish and worthless links. I will manually submit your websites/blogs, YouTube videos to Top 40 high authority Social bookmarking submission sites. This Service is Ideal For: Website,Blogs,YouTube Videos, Social Media Pages, Amazon or any Product Pages etc..